In early 2014, the company Playdek crowdfunded over $660,000 to make a spiritual successor to Final Fantasy Tactics alongside its creator, Yasumi Matsuno. Two and a half years later, they just can’t seem to stop breaking promises. Most Kickstarter backers—myself included—have long given up on ever seeing Playdek’s game, aptly titled Unsung Story. But it’s still unbelievable just how many times the developers have said they were going to do something, then didn’t. Here’s a quick timeline of backer updates, starting with May of 2015, when Unsung Story started going off the rails. This did not happen. The next update didn’t hit until September 21, 2015, and in it, Playdek CEO Joel Goodman said the company had been facing financial difficulties and had to lay off several staff. Goodman laid out a new schedule for Unsung Story that promised a “PvP beta” in June 2016. This was surprising to backers, as the original Kickstarter had said nothing about PvP or even mentioned that the game would have multiplayer. Backers had given their money to Playdek in hopes of getting a Matsuno-led single-player game. Why was Playdek talking about PvP? This did not happen. It’s now August 2, and Playdek has yet to release a new update for Unsung Story. We’re over a year past the original estimated release date, and we don’t even know if anyone’s actually working on the game. 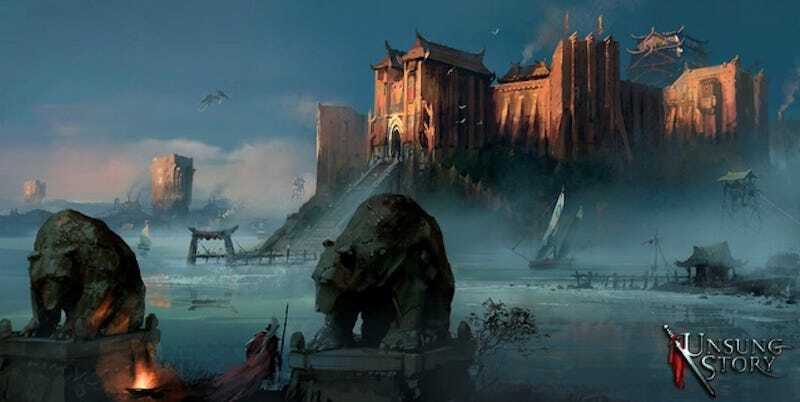 “We know that we have one method of restoring faith in this project, and that is through delivering on a great tactics game, which we intend to do,” reads Playdek’s June 28 update. Probably not gonna hold my breath on that one.